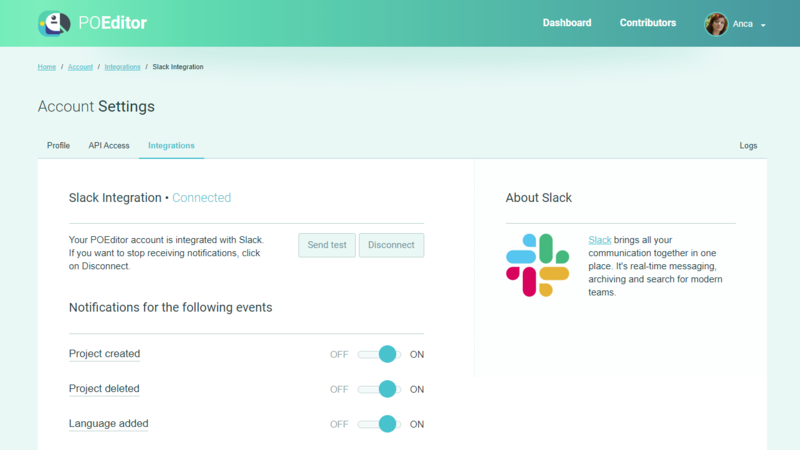 Go to the Account Settings > Integrations page in your POEditor account, click on Slack, and then click on Connect. 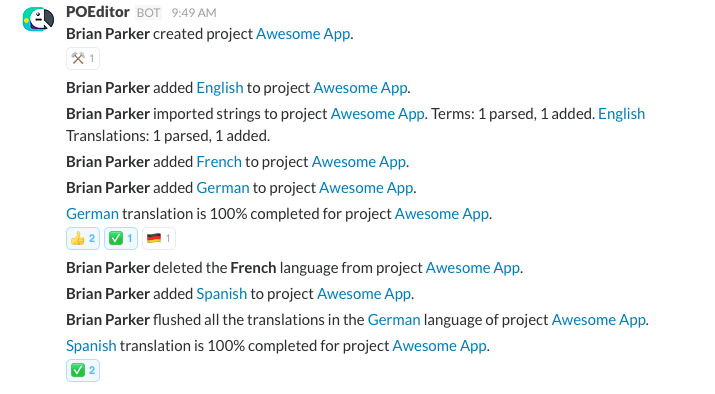 On Slack's authorization page, pick where you want to receive the notifications regarding your localization projects, then authorize the POEditor localization app. Optionally, you can send a test to see if the Slack integration works. 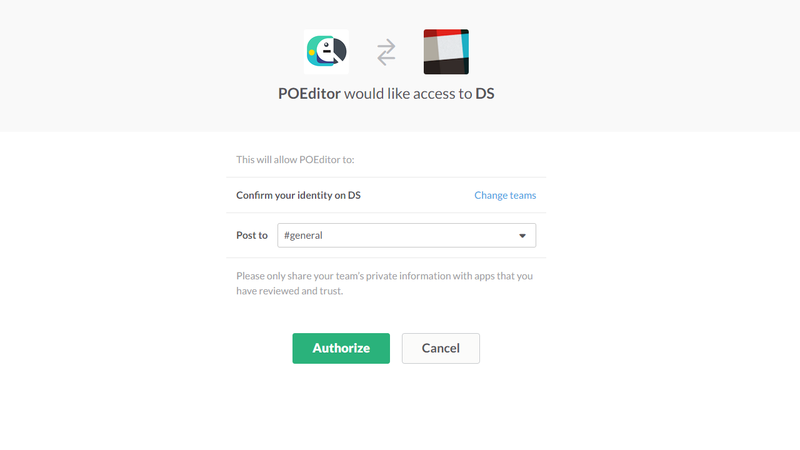 Note: The integrations page is only accessible to project owners, because all integrations are done on an account level.